Siobhán is a Trainee Solicitor with Greater Manchester Law Centre gaining experience in Welfare Benefits, Debt, Housing and Public law. She completed a BA Hons in English Literature at Liverpool John Moores University (LJMU) in 2007. She worked as a Mental Health and Learning Disabilities Support Worker for seven years. She later volunteered with Calderdale Refugee Forum and Immigration Support Calderdale as an OISC registered advisor. This work intensified her interest in the law. Siobhán gained a distinction in her GDL and then LPC at LJMU, graduating in 2016. During her studies Siobhán volunteered with Vauxhall Community Law Centre as a Welfare Benefits Adviser and Tribunal Representative. She later had the privilege of working for almost three years as a Caseworker on the Hillsborough inquest as part of the Broudie Jackson and Canter legal team representing 22 families of the deceased. She was also involved in a movement to attain an inquiry into Orgreave, on a voluntary basis. 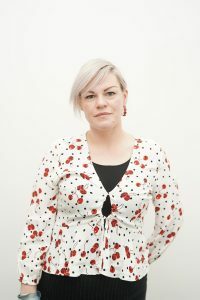 Siobhán qualified as a Level 2 IAAS Accredited Immigration and Asylum Adviser and worked for 18 months as part of the Broudie Jackson Canter Asylum Team on cases in the First Tier Tribunal, Upper Tribunal and Court of Appeal, also gaining experience of Judicial Review. Siobhán’s passion is fighting for access to justice and helping vulnerable, disadvantaged people to access high quality legal advice and representation. She is also committed to the fight to protect the future of the legal profession. She is Vice Chair of Young Legal Aid Lawyers (YLAL) and co-chairs YLAL Liverpool as well as the Social Mobility sub-group. Siobhán is also a member of the Access to Justice Committee at Liverpool Law Society where she represents the interests of YLAL and also assists with helping the third sector to access pro bono support. GMLC is a Law Centre which places great weight on the importance of not only providing high quality, free legal advice but also of campaigning for the reinstatement of Legal Aid and for a fairer, more equal justice system. GMLC hopes to use strategic litigation as a method by which to change the law. Siobhan’s project will entail looking at ways to use strategic litigation and Judicial Review to improve the lives of our clients as well as people nationwide.